Jonathan Spencer sparkles as The Pirate King in Lamplighters production of “The Pirates of Penzance.” Photo Credit: Lamplighters. The moment Maestro David Drummond lowered his baton and the Lamplighters Orchestra attacked a perfectly articulated, well-paced, and modulated performance of Sir Arthur Sullivan’s delightful overture to “The Pirates of Penzance,” I began to shiver with delight. Drummond is an extraordinary conductor, and his thorough understanding of Sullivan’s music brought revelation after revelation to this remarkable production. Perhaps the best way to describe this “Pirates” is to compare it to a box of chocolates,. Each bite is a new adventure in sugary ecstasy until the last bonbon has been ingested. Then, when it’s over, we can savor it all in memory while drifting off into dreams of singing pirates and their fair maidens. Now, about those fair maidens. In Nicolas Garcia’s highly original staging of this Victorian classic, the maidens are hardly the blushing sort. They are clearly young women of character and intellect. This is successfully communicated through the character-filled costume designs of Miriam Lewis, and the carefully differentiated attitudes of each of these daughters of a modern major general. Speaking of character, Garcia has clearly paid careful attention to various nuances, not being at all satisfied with cardboard renditions of these familiar types. The company has paid as much attention to the acting as to the singing, and the result is a remarkably fresh performance of an old chestnut. Which is not to say the singing is short changed. The chorus is as lilting as one could wish, with every word clearly articulated. The relatively minor roles of Samuel, a pirate (Sterling Liška) , and the Sergeant of Police (Charles Martin) are well-sung. Martin also brings some delightful physical humor to his part. As the romantic leads, Frederic and Mabel, Carmello Tringali and Julia Mulholand bring an impressive level of musicianship to their roles. Both have considerable experience singing grand opera repertoire and it shows. As Ruth, Deborah Rosengaus sings beautifully, but really stands out for her comic acting. In an unusual intepretation, the character of her Ruth changes dramatically from her first desperate appearance to a triumphant emergence as a fully liberated lusty woman with a piratical attitude which wins our admiration. In short, this production of Pirates is the very model of what a modern Gilbert & Sullivan revival should be: pure delight. 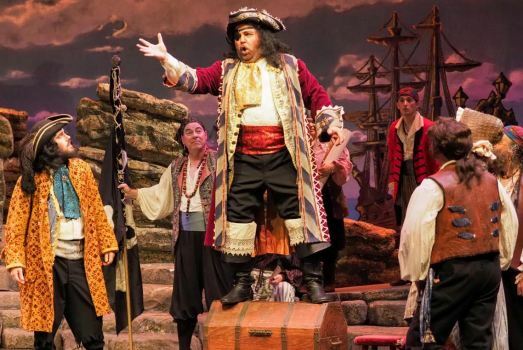 ‘Pirate of Penzance’ plays for three more performances (Saturday night and Saturday and Sunday afternoons) at the Livermore Valley Performing Arts Center August 25th and 26th. “The Pirates of Penzance” by Gilbert & Sullivan, presented by LamEplighters Music Theatre. Stage Director: Nicolas Aliaga Garcia. Music Director/Conductor: David Drummond. Costume Design: Miriam Lewis. Lighting Design: Brittany Mellerson. Samuel: Sterling Liška. PirateKing: Jonathan Spencer. Frederic: Carmello Triangli. Ruth: Deborah Rosengaus. Edith: Melissa Sondhi. Kate: Kristin Avila. Isabel: Ashley Chen. Mabel: Julia Mulholland. Major-GeneralStanley: F. Lawrence Ewing. Sergeant of Police: Charles Martin. Note: On Saturday night, 8/25 and Sunday afternoon 8/26, there are the following cast changes—Mabel: Erin O’Meally. Frederic: Michael Desnoyers. Ruth: Gwendolyn Reid Kuhlmann. Chorus: Audrey Castensen, Nicholas Dahlman, Jeffrey Erickson, Anarka Fairchild, Katherine Fellert, George Fernandez, Stephanie Fields, Isaac Goldberg, Abby Green, Andrew Green, Jen Kiernan, Camille Lake, Tim Lynch, Bridget Maguire-Colton, Douglas Mandell, Rachel Mustain, Rik Myslewski, Colin Raab. Alan Roberts, Andy Serrano, Bobby Singer, Brianna Stutzman, Ilana Walder-Biesanz, Paul Zawilski. Vioin I: Pamela Faw (Concertmaster), Lynn Oakley, Josepha Fath, Yashushi Ogura. Violin II: Laurien Jones, Gregory Sykes. Vioa: KathrynJuneau, Stacey Bauer. Cello: Gwyneth Davis. Bass: Carl Stanley. Flute: Lucy Schoening. Flute/Piccolo: Laurie Siebold. Oboe: Kathleen Conner. Clarinet: Diana Dorman, Michael Wirgler. Bassoon: Kathleen Johannessen. French Horn: Alison Sawyer, Katie Dennis. Cornet: William Harvey. Trombone: Kurt Patzner. Percussion: Norman Peck. 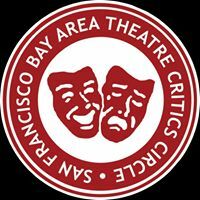 Posted in Reviews.Tagged Charles Kruger, David Drummond, Lamplighters, Nicolas Aliaga Garcia, The Pirates of Penzance, theatrestorm.